“Our choice of Ice Prince as host this season basically reflects what Top Ten Most is about; Swag, bragging rights and lots of numbers!” explained Leslie Kasumba, Head Channel O. “This season, we will be unveiling the biggest and most exciting Top Ten Most lists anyone has ever seen,” she added. The weekly 14part series ‘’TOP 10 MOST’’ is scheduled to premiere on the 8th of October and will feature never-before-seen Top 10 lists including The Top Ten Most Bankable artists, Top 10 Most Swagged out artists, Top 10 Most Followed Kings and Queens of social media, Top 10 Most Game Changers and a few other surprise elements. Channel O is also giving a lucky viewer the chance to host an episode of the show by simply submitting the most creative list of Top 10 Most. 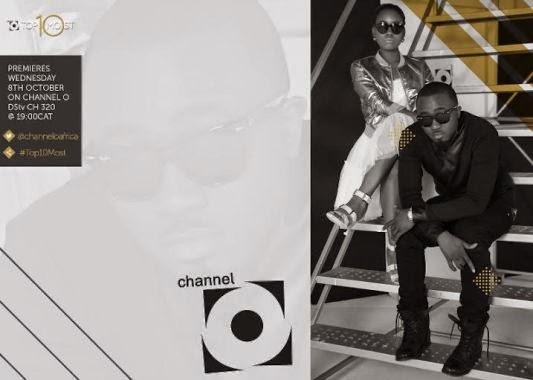 In the run up to the end of the year, the channel has also lined up exciting programming as well as the Channel O Awards which holds on the 29th of November.